Gene Tierney Movie Page: Daughter of the Mind (1969). Daughter of the Mind (1969). 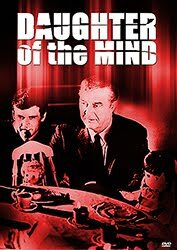 DAUGHTER OF THE MIND(1969).This TV movie is based on a Paul Gallico novel,The Hand of Mary Constable. Cast: Ray Milland, Pamelyn Ferdin, Don Murray, George Macready and Gene Tierney. John Carridine has a cameo performance. Daughter of the Mind, Is about a professor who sees and talks to the ghost of his dead daughter. All signs seem to point to the ghost is real but government agent thinks it might be “Cold War Enemies” trying to get the Prof to defect! Director Walter Grauman directed episodes of many TV series including The Twilight Zone episode “Miniature”, The Fugitive, The Untouchables and V. He made a couple of seldom seen TV movies: CROWHAVEN FARM (also featuring Carridine), DEAD MEN TELL NO TALES and THE STREETS OF SAN FRANCISCO TV pilot. He made a few feature films including THE DISEMBODIED and James Caan’s first film LADY IN A CAGE. 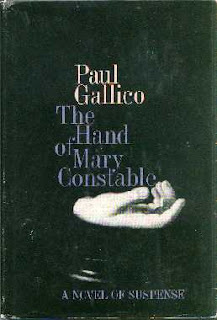 Paul Gallico's book, although written in 1964, is as true today as it was 40 years ago. Besides the story of the afterlife and love, the book also shows the evil of mankind and how some people gain from the loss of others.